Mutual Benefit have a happy knack of bringing order from chaos. Most of the songs begin unformed. The instruments in the orchestra tuning up. The band in the studio playing around. Almost imperceptibly, though, the various sounds coalesce. A gentle melody emerges. The fragile vocals set in. And a special beauty is heard. Mutual Benefit is the creation of 25-year Jordan Lee. It seems like a solo project from a young man, but it sounds like an ensemble work from a mature artist. There’s little change in tempo across the album. The pace is resolutely regal throughout. What varies is the range of sounds. The string section is a constant presence. But there are banjo-led songs and piano-led songs. And while the basic texture is always acoustic, there’s usually a drum machine in the background and more than a hint of electronic frippery. It’s this musical variety rather than any dynamic quality that leads to the inevitable comparisons with the maestro of Michigan. If you hear chamber and pop, inevitably you think Sufjan and Stevens. The comparison is always a compliment, but just as often it’s a misleading one. And here too. In fact, Jordan Lee cites Elliott Smith as a formative influence. And, indeed, there’s a certain Smith-like sense of quiet experimentation across the set of songs. In the end if Mutual Benefit understand how to bring order from chaos, they also realise how fleeting such order can be. For just as the songs gradually cohere and take form, they also have a habit of collapsing back into chaos at the very end. An endless cycle of construction, destruction and reconstruction plays out. A beautiful cycle. A cycle that is very much to our mutual benefit. 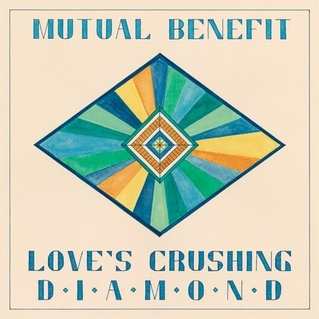 Posted in Mutual Benefit and tagged as Music, Mutual Benefit, Review.